Hay! here is the list of best Budget Laptops available in India. Laptops here, are of good brands too! so you don’t have to be worried about brands. When we say about Budget Laptops that means laptops which are priced under 45,000 INR. And they are also value for money, But Prices can fluctuate so please be fine with that. Laptops Nowadays are really value for money, I remember back in the days when laptops where priced around 45,000 INR and just provide Intel Pentium core or at maximum core i3 processors, But now the value has literally increased, Even with Price as less as 35,000 INR now comes a quite nice laptop with atleast Intel Core i5 Processors. HP 14 Core i5 8th Gen- I am listing this Laptop at the top because of many good reasons, Lets talk about them, So at just a Price tag of 40K this laptop offers a lot, firstly it has Core i5 8 Gen processor which is latest of core i5 and actually good in Processing & multitasking it also has a Intel Integrated UHD 620 Graphics, with this you can play high-end games with a bit low settings they can run with no Lags and Frame Drops. Also things I like about this Laptop is its Weight, It just weighs 1.9 kgs just like Apple Macbook Pro, And its size, 14 inch on a screen is perfect. If you want a light weight Laptop with good specifications and a decent nor bulky neither small display laptop than go ahead with this one, it has almost all the required features and specifications for your everyday processing and multitasking. Dell Vostro 15 3000- It is a full size laptop by Dell, As Dell says It is ideal for professionals, It has a full size keyboard with numeric keypad and essential security features. It is Powered by the Latest Intel Core i5 8th Gen Processor with built-in discrete Radeon 520 graphics by AMD, It has a Huge 1 TB HDD so you can easily store all your Files and Documents. It even have a Fingerprint reader which allows you to keep your Important documents save, you don’t have remember long passwords and Pin numbers, almost all the Security verification can be completed with this. It has Sober Black look to it. It also comes with included Microsoft Office Home and Student 2016. Build Quality- It looks a bit cheap because of its whole Black plastic body but don’t get me wrong its not that bad. If you are not much concerned about build Quality than you can go for it, it gives you a quite nice performance for the price you are paying, other than its quality all is good. 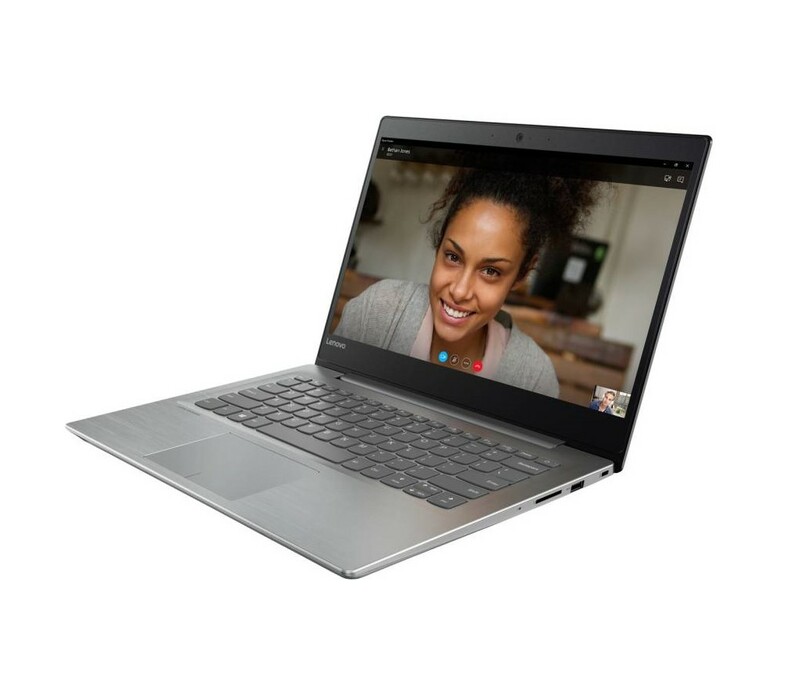 Lenovo Ideapad IP 320- Laptops by Lenovo are good value for money products they got decent Body sleek Designs with Durability and quite nice specs, it Featuring a HD LED display which allows you to enjoy true visual clarity in movies and photographs. You can store all you big files, movies, photos. etc thanks to its 1 TB HDD. It is Powered by the powerful Intel Core i5 7th Gen Processor with NVIDIA Geforce 940MX Graphics which let you play your favorite games and run your important applications with no lag whatsoever. Small Touch Pad- As its a full size 15.6 inch Laptop, Lenovo could have given a little more sized Touch Pad, but in this laptop Touch Pad looks very small, You can even see space around the Touch Pad, lenovo had not done the spacing properly, they could have increased the size of Touch Pad and It would be easy to use this Laptop. It is overall a Nice Laptop with fine and pure Performance, good looking Keys and Design of the Laptop, but the only place we found this Laptop to went down is in term of its small Touch Pad. If you are not cornered about the Touch Pad, than as we said above it is overall a nice Laptops you can go for it. Lenovo Ideapad 320- It is a Lower verison of laptop we listed above, the Lenovo Ideapad IP320. But it has a more sleek design compared to above version, It has less Bezels, and it wieghs around 1.7 kgs which is kinda good for a Laptop of 14 inch display.You can Store all your files, photos, music, and movies with a plenty storage of 1 TB. Now if we come to its Design it has a metallic to its body which literally boost its style, with this sleek design it also very Compact and light weight, so you can carry it anywhere you want with an ease. It has enhanced audio with the Dolby Audio technology and by dual Harman speakers. No Disk Drive- This Lenovo laptop doesn’t have a disk drive, you can not use disk to install applications, the only reason we thing Lenovo cut the Disk drive to make it lighter, they kinda went wrong because Disk Drive is sort of important for atleast everyday laptops. Battery Backup- As its a lite Laptop, it should provide a good Battery Backup but sadly it just give Battery backup just upto 4 hrs. And in average its just around 3 hrs. So that is a one bad thing about this Laptop. You can get this Laptop! I say its a Nice one for the Price, But I hope Lenovo will update this laptop with a good Battery Backup and Disk Drive. HP Notebook 15-BS662TU- This will be the cheapest and lowest specced laptop in this list, but it worth to be in the list of best budget laptops in India. It provides good value for money, with a full size 15.6 inch FHD display. It is powered by Intel Core i3 7th Gen Processor with Intel Integrated HD 620 Graphics. Basically it is a Everyday Use Laptop. It comes with huge 1 TB HDD which allows you to store all your pictures, files, documents and other stuff. It has a quite Nice build quality providing silver surface body color which completely enhance its look by giving it a professional look.